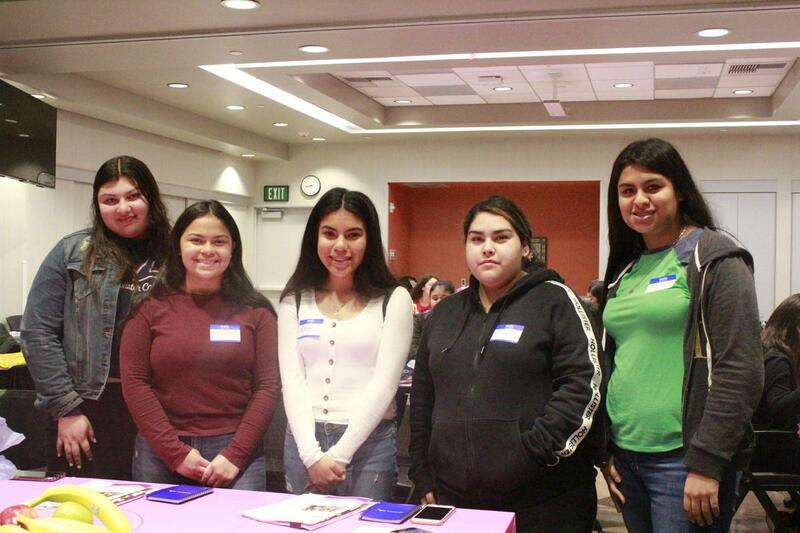 LA PUENTE – Bassett High School students joined more than 70 teens at the third annual Girls’ Health Rocks! Conference on March 9 to learn about issues surrounding puberty, eating and exercise, and mental health. Maria Roman, a licensed social worker for the Kaiser Permanente Baldwin Park Medical Center and a presenter at the conference, grew up in La Puente and graduated from Bassett High School. Roman talked about teen dating violence and prevention, cyberbullying and sexting. Breakfast was provided, as well as goodie bags with notebooks, pens and other gift items. A concurrent program was held for parents. 03-09-19_BASSETT_GIRLS_1: Bassett High School students attend the third annual Girls’ Health Rocks! Conference on March 9 at the Kaiser Permanente Baldwin Park Medical Center.